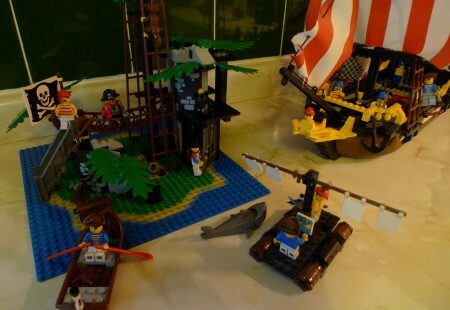 After a hiatus of over 20 years I got another Pirate Lego set for Christmas! My parents tracked down from eBay the one set I was missing from the 1989/90 Pirate range, 6270 “Forbidden Island”. Got all the bits and the original instructions! Flag was a bit borked by I replaced it with a spare on I had.